Asia for being recognized as an International Training Centre of Excellence for First Aid Training. This prestigious achievement was received by Mr. Fadhel Al Sadi, Emirates Group Security Training Manager. 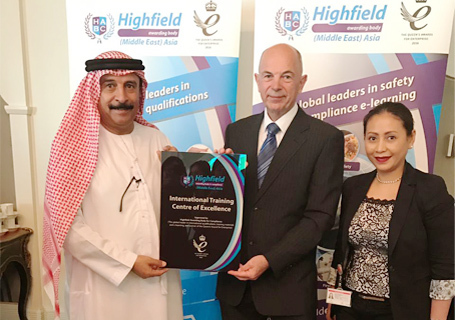 Highfield (Middle East) Asia is an international awarding body for compliance and a global leader in international qualifications, training materials, and e-learning.